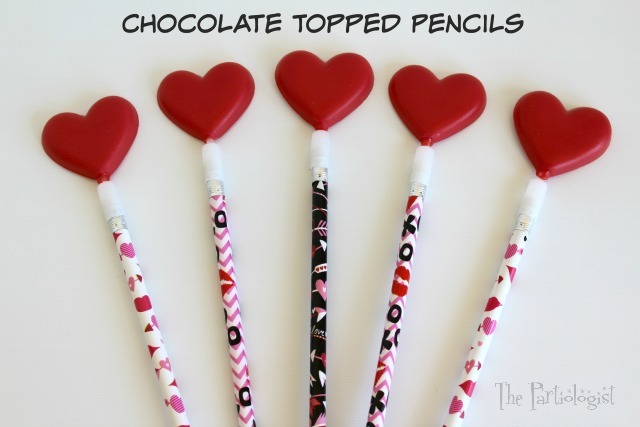 The Partiologist: Chocolate Topped Valentine Pencils! A Pencil for Valentine's Day is fun, but let's face it...a Valentine Pencil topped with a Chocolate Heart is fantastic! And you can make your own in any shape or size. I had no idea such a thing existed, did you? When I found these toppers from Lorann Oils I knew I could put them to good use. Don't you think this makes a pretty special treat? Here's how to make your pencil a sweet treat. Start by finding the Lorann Pencil Pops, link below. Choose your favorite color of candy melts to make your topper. And, now I finally know what that extra space in the lollipop mold is for. Place one pencil pop stick into each cavity. Fill the cavities with the melted candy melts. Place in the freezer until set and pop out of the mold. Valentine pencils can be found just about anywhere. I picked mine up at Hobby Lobby. Then I made a printable, for me and for you, link below. 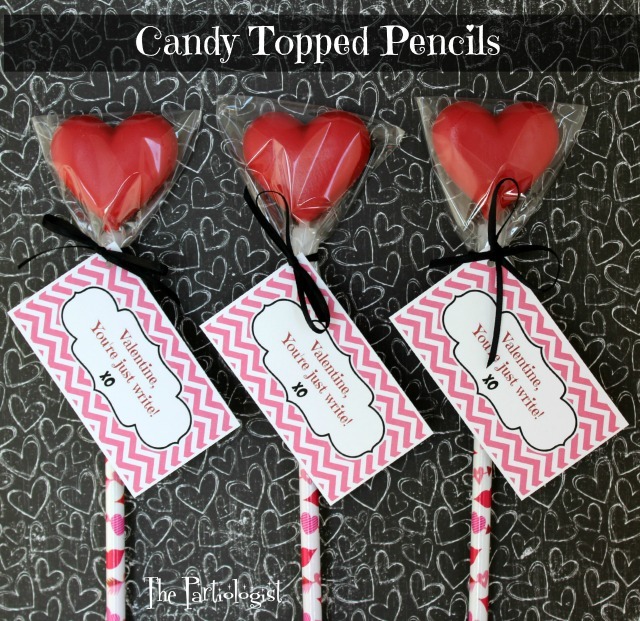 Place each candy heart on top of the pencil eraser. Twist back and forth until it's on tight. Cover the candy heart with a cellophane bag. Tie with ribbon and add tag. Now, see if they'll do their homework. I wasn't sure they were still making those pencil toppers for candies. I'd seen them many years ago, but hadn't seen them in a while. 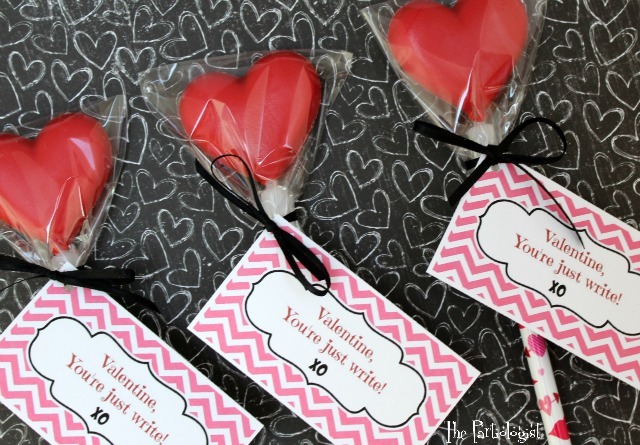 They do make fun classroom treats for Valentine's Day. I love your Valentine creations! I have never seenthe pencil toppers before. What a cue gift! Thank you Lisa, aren't they fun?? Yea, I'm waiting for that call, too! :) Thanks Lisa! How cute are these? I never knew what the extra space was for in the candy holds too, how funny. Never heard of such a product before. Seriously, wouldn't it have been fun to receive one of these as a child?? And, the mystery of the extra space is now solved! I had to come over and see you made these, so fun! I know kids would LOVE them! 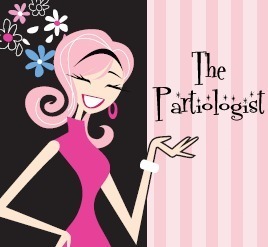 Cute printables, too! !